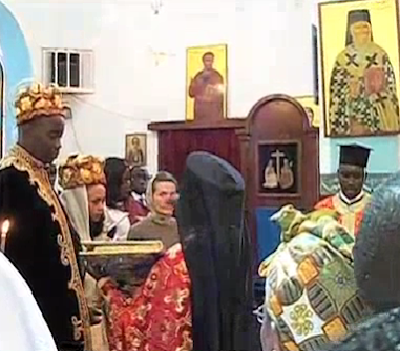 Metropolitan Makarios of Kenya received about a month ago into the Orthodox Church the first-born son of Prime Minister Raila Odinga, Fidel Castro Odinga (named after the Cuban revolutionary leader), who was accompanied by his then future wife Lwam Getachew Bekele who is half Eritrean and half Ethiopian. The couple had expressed their great desire for Fidel to join the one, holy, catholic, and apostolic Church. Having made the necessary arrangements, catechism, etc, His Eminence celebrated the Sacrament of Baptism in the large baptistry of the Orthodox Patriarchal School "Archbishop Makarios III of Cyprus", baptizing Fidel, together with 22 others, and giving him the name Makarios. On July 28 His Eminence celebrated Fidel's and Lwam's marriage ceremony at the Patriarchal Cathedral Church of the Holy Unmercenaries in Nairobi. 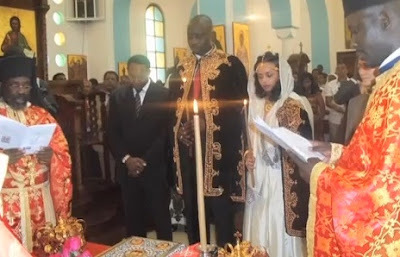 The ceremony was attended by the parents of both newlyweds, and the Metropolitan, in the end, gave fatherly admonitions as they embark on their new journey together.